Cailean MacIlleathain le ceòl na pìoba bho leithid Jack Lee, Stuart Liddell agus Iain Speirs. Cailean MacLean introduces pipe music from Jack Lee, Stuart Liddell and Iain Speirs. Cailean MacIlleathain le ceòl na pìoba. An diugh, cluinnidh sibh puirt bho leithid Jack Lee à Canada, Stuart Liddell, Iain Speirs agus Còmhlan Pìoba Poilis Lodainn agus Na Crìochan. 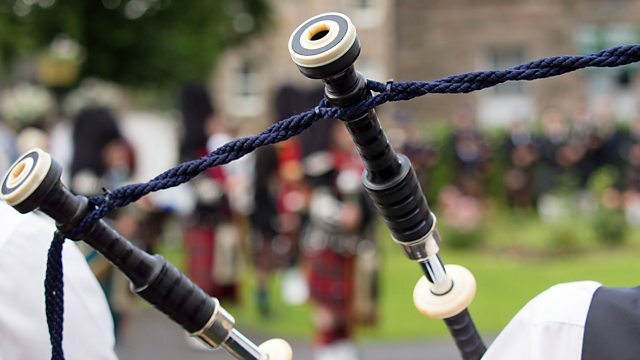 Cailean MacLean introduces pipe music from Canadian piper Jack Lee, Stuart Liddell, Iain Speirs and the Lothian and Borders Police Pipe Band. The Police Pipe Bands of Scotland.